Last summer, I discovered I’m allergic to blueberries. Today, I stupidly decided to test whether I still am – and I learned that I really, really am. After a painful day at work, some moaning, groaning and a nap, I woke up famished. I needed something comforting but reasonably bland. 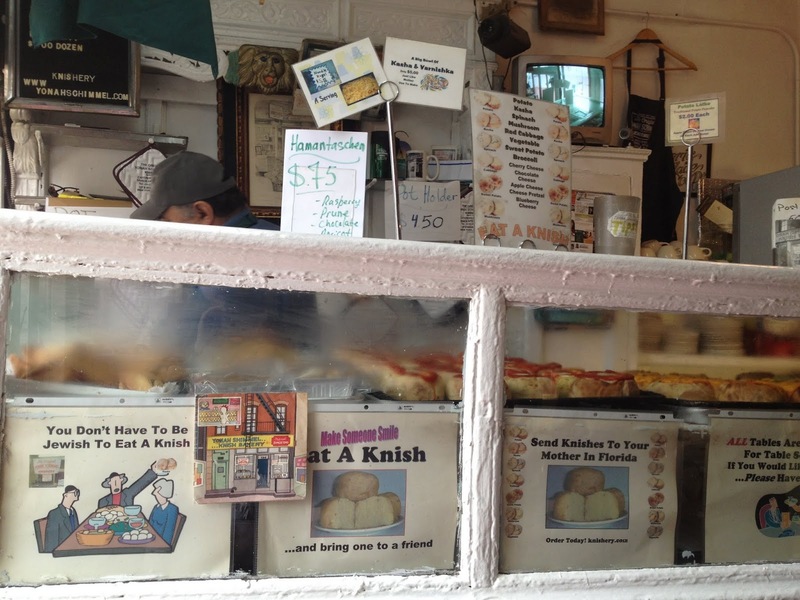 I needed a knish. 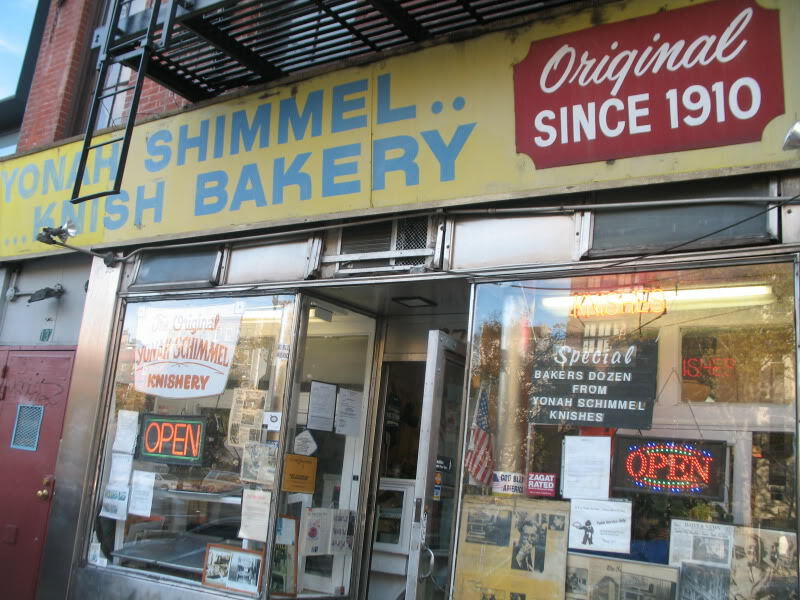 I’ve never had a knish before, but there’s a famous family place just a few blocks south of my flat called Yonah Schimmel’s Knishery. The bakery, which is on East Houston and 2nd Ave, is very run down – peeling paint, fading blue lettering, grubby windows and dog-eared signs. And yet that’s part of its charm. You know that if it’s been here that long (more than 100 years), it must be good. 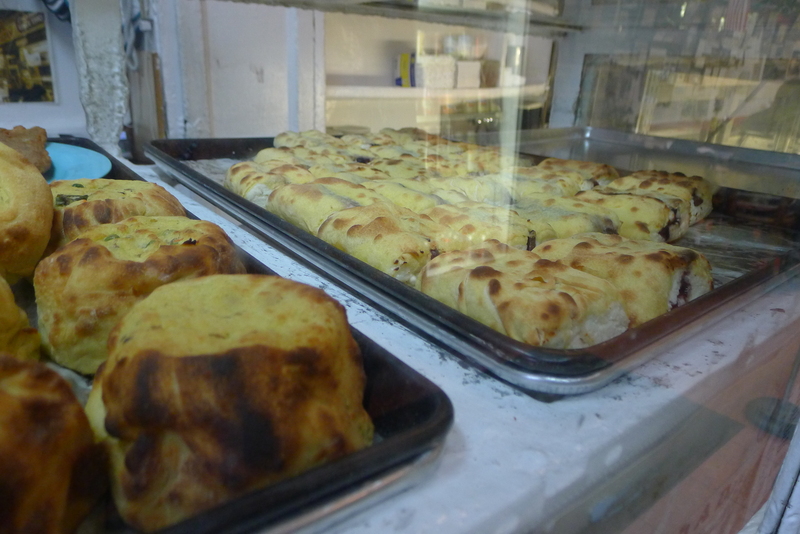 There were plenty of choices of knish, which cost $3.50 each: Mushroom, potato, spinach, sweet potato. 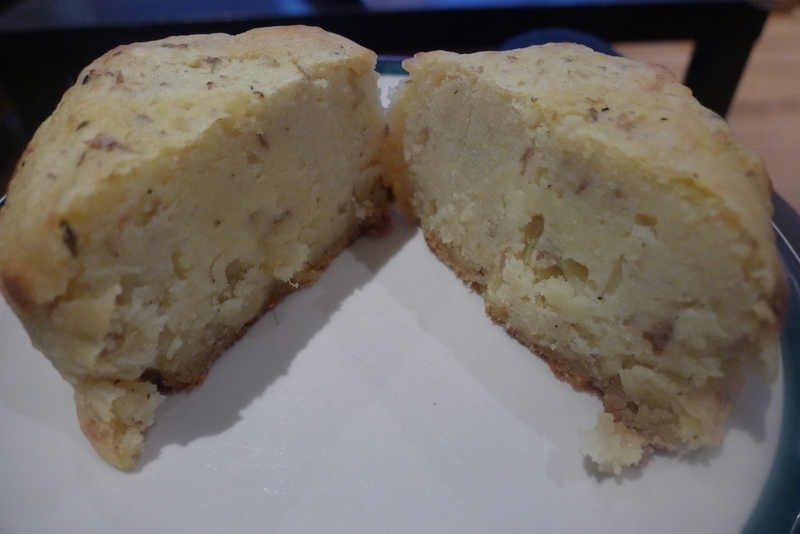 The traditional Jewish dish follows a simple recipe: potato, eggs, flour, onion, garlic and seasoning. 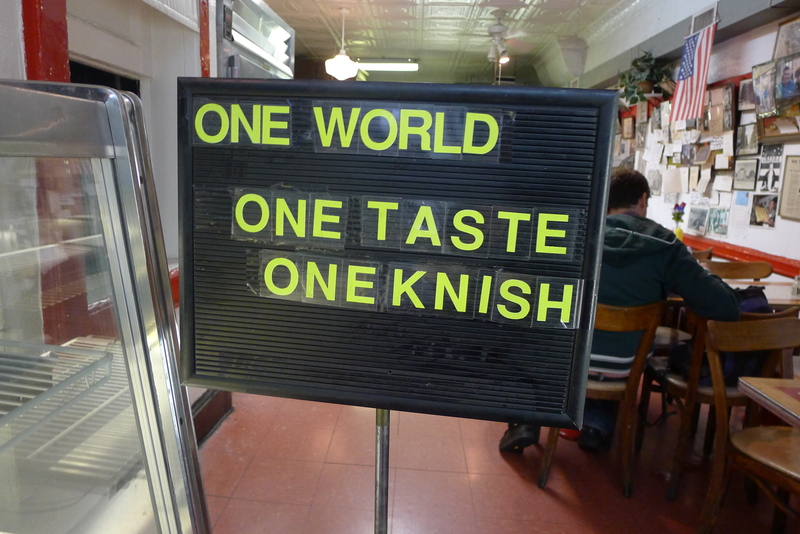 But while it’s simple, the Knishery really packed the flavour in. 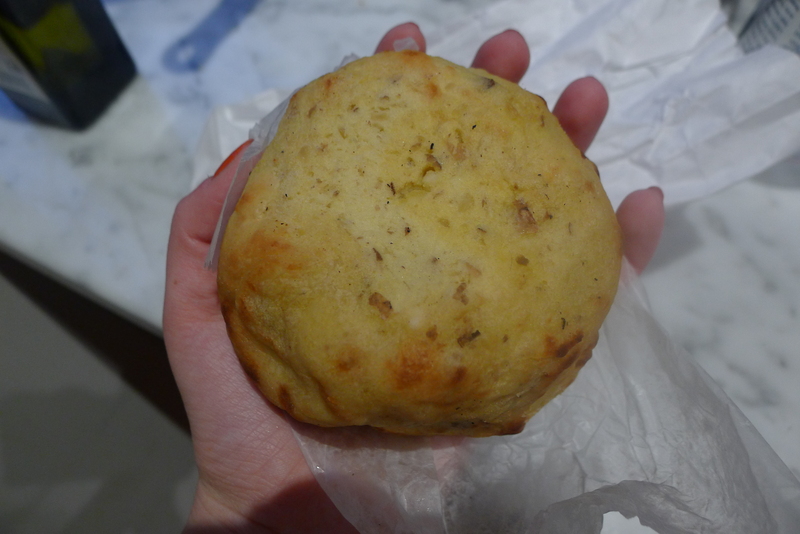 I picked a potato knish and, oh man, it was so good. Comforting and dense but fluffy, with powerful seasoning and crammed with garlic. 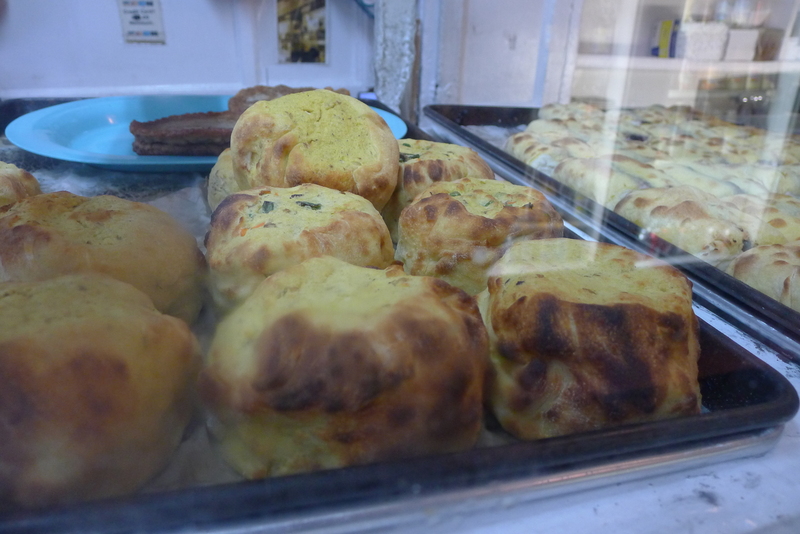 They were also a really good size – for a generous snack, or for a meal with a side. It is a carb fest and therefore a dream food. The staff at the bakery were also brilliant, and they had a reasonably sized section for eating in, but I took mine to go.